Eating breakfast out in the beer gardens early it started to sprinkle with a little rain, with more clouds passing over. It looked like it was going to settle in but was only light. I'd decided not to put any wets on as it wasn't yet raining heavy enough and I'd hope for the best cause I'm an optimist. We topped up our tanks at the general store which has premium fuel and at premium prices I might add, see last post. Lucky we did or I would have run out. 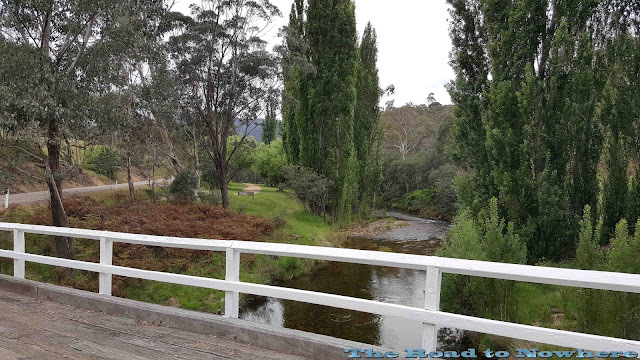 The Omeo Highway leads out of Mitta Mitta to Omeo some 107kms via some very scenic and spectacular country with the winding roads starting literally around the first bend out of town. 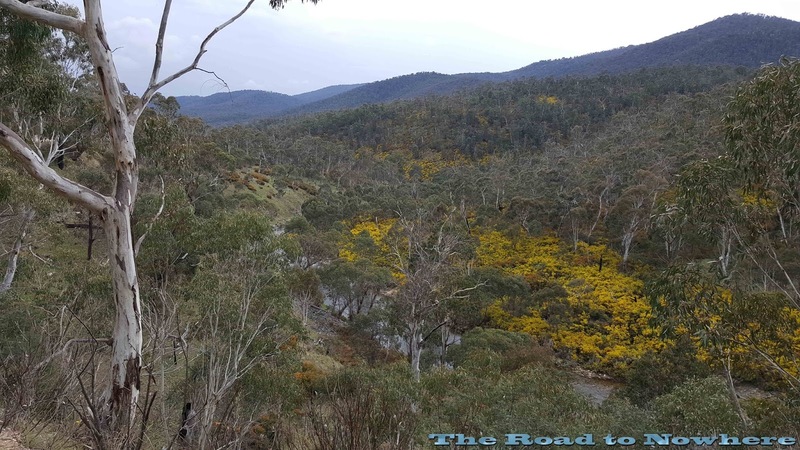 The road snakes its way along following a river for a while before winding up into the forested mountains and the corners come thick and fast, one after the other. I was really looking forward to doing this road as last year the Falls Creek section was snow blocked and we had to ride around and come in from the northern end so I've only ever done the bit from Omeo to the falls creek turn off. 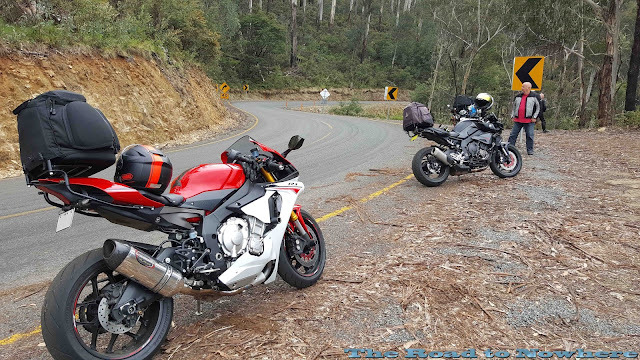 We stopped for a break at a small clearing 40km out from Mitta after about 40min or so. Everyone was beaming at how good the road was, the surface along here was fantastic, very little bumps or potholes a bit of leaf litter and some damp patches was about all. 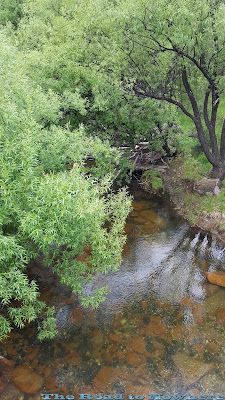 Bushpig asked if we were nearly there yet to which I replied we were only 1/3 the way along, to which he let out a depressed groan of 'Oh God'. Yes mate it doesn't get much better than this. There are so many bends it's incredible, you pick it up out of a left hander straight into a right hander then hard back into another left. 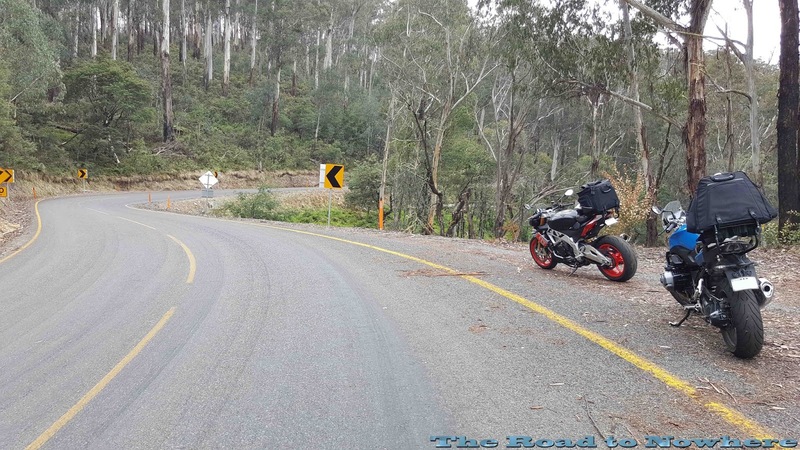 This has got to be one of the best Motorcycle roads in Australia. Fantastic Stuff!!!!! 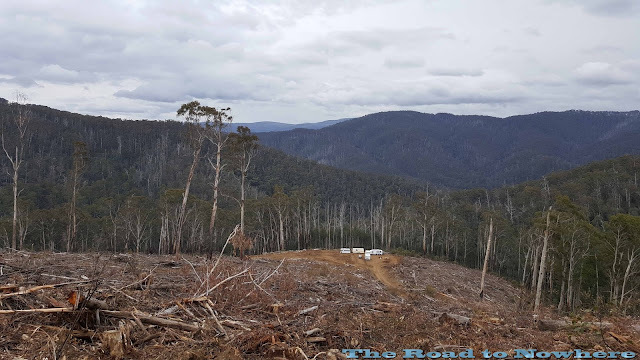 We had stopped on a bend where the forestry people had been chopping down a large section of forest, that allowed us a view out to the surrounding mountains which I could see snow on some of the higher peaks. 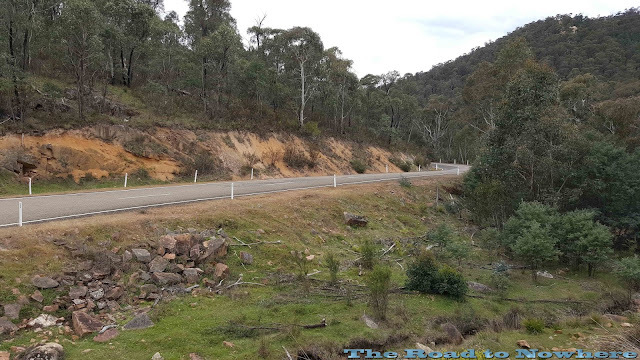 We continued along and the road surface changes to a more gravelly looking surface as you get closer to the Falls Creek turn off and the Blue Duck Inn. 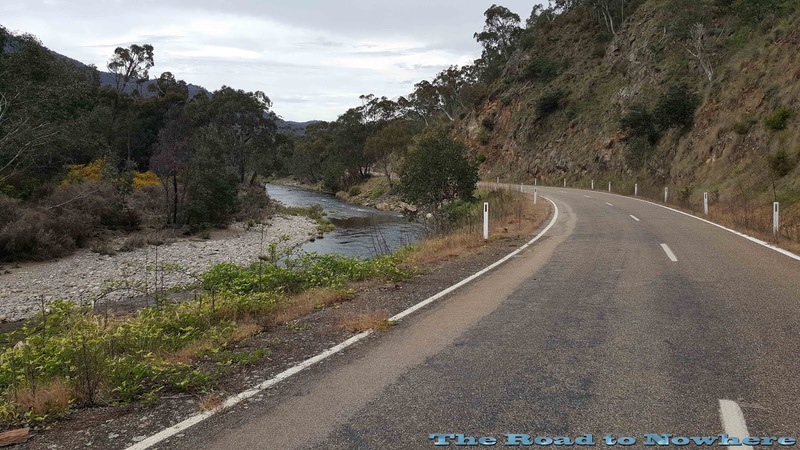 Again the road follows alongside another beautiful mountain river along here with the road snaking along spectacular vistas. One great feature I like on the lower end of this road is that there are an abundance of spots where the road winds into a fork of the mountain where it does a sudden 180 bend on itself and comes back the other way so while you are travelling into a bend your mates out in front are traveling back past you in the opposite direction separated by a small valley in between, there are numerous bits like this and it makes for fantastic riding. 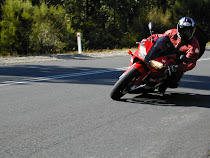 I also noted the exhaust crackle of the R1 along this road was pure music to my ears, pure orgasmic. 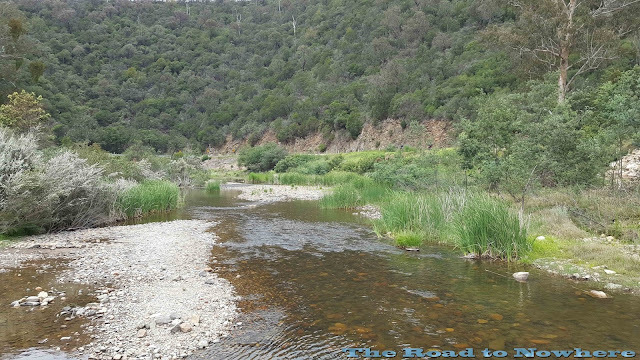 There is definitely no room for error at any point along this road, if you make a mistake you will either be in the river on one side or in a rock face on the other side. Gotta take it easy. I stopped at the Blue Duck Inn briefly to have a quick look around but it was early and there didn't appear to be anyone about so I took a few photos and continued along. I wouldn't mind coming back here at a later date to stay for a couple of days and explore this area and do some loop rides up to Falls Creek and around over Hotham. There are so many good bike roads in this area that it would be hard to go wrong for choice of a decent ride. 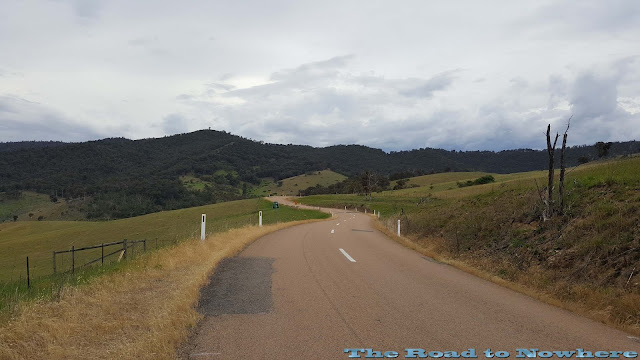 It wasn't long after here that we started the decent out of the mountains and down into the valley and farm lands as we drew closer to Omeo, I checked my fuel usage since Corryong the day before and it was over 17 litres which by the time we got into town was on 18.1 litres. Yikes I would have been walking for sure. 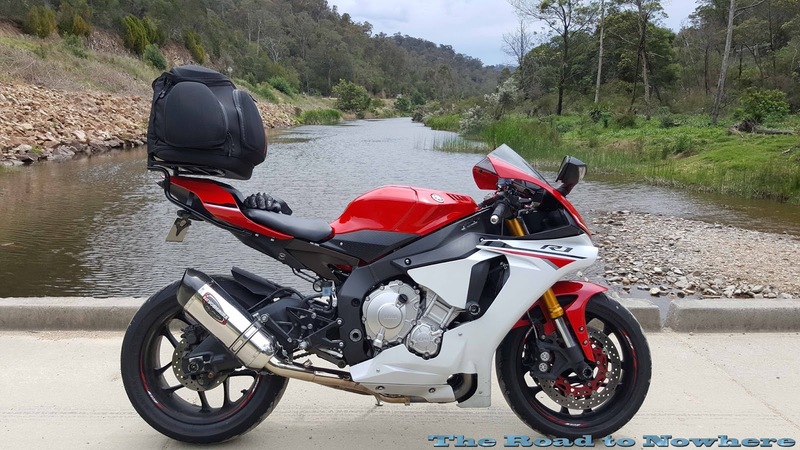 When you get into real twisty country the R1 fuel economy drops right off as there is a lot of first gear work. 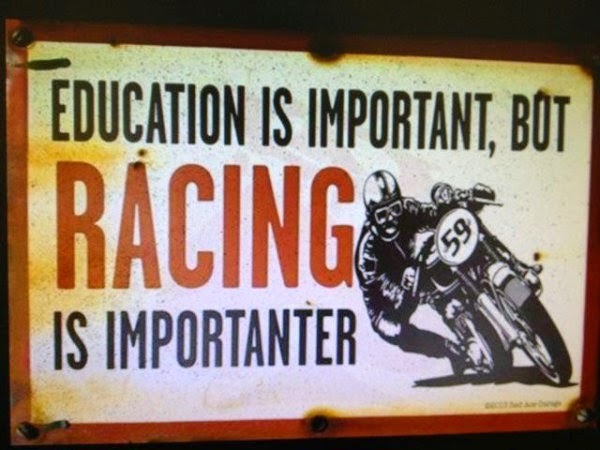 You struggle to get into second, and when you do and run into a b end you find that there is not engine braking. 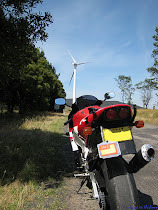 Sometimes it can be annoying but it can also be enjoyable as you don't have to concentrate on gear changing, just braking - accelerating and cornering lines. 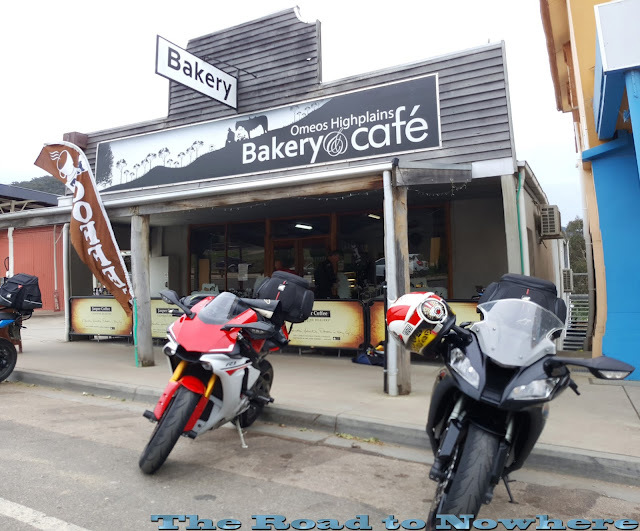 We arrived in Omeo and filled up the bikes and went straight to the bakery for lunch which handily enough was right next door. I must say the pies at the Omeo bakery were fantastic, highly recommended. We would be back here tomorrow so I think we will be back for another. We had a little bit of an extended break here as Stu headed off to see a doctor as he had a sore throat and was finding it hard to talk. 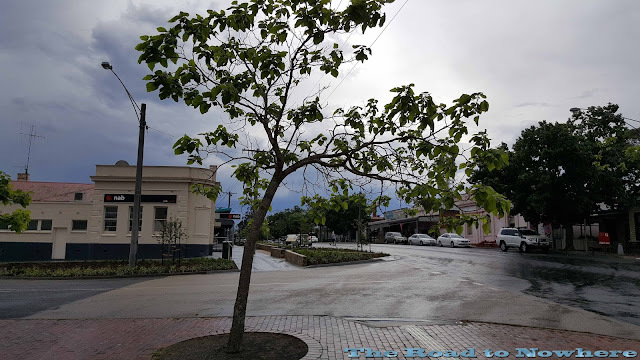 As we were waiting and having lunch a rain storm passed by to dampen the road a little but there wasn't a lot in it and by the time Stu had come back it was almost gone. 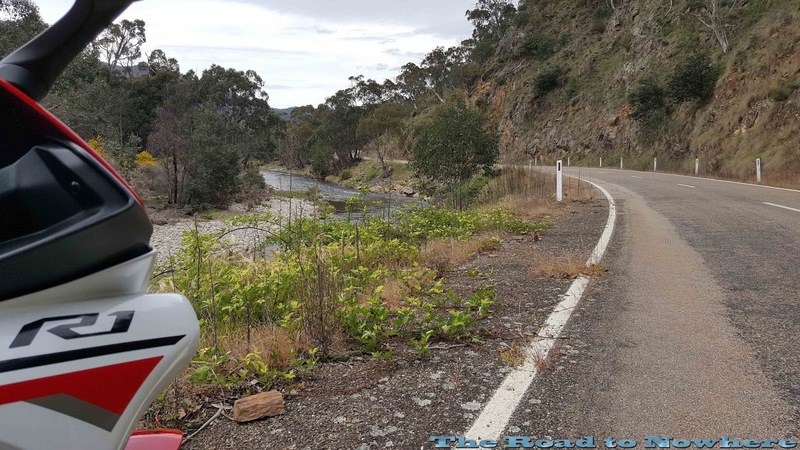 We soon departed after Stu had his lunch and continued down the great alpine way to swifts creek and the excellent roads beyond. The road follows along the Tambo River further south and this is again some fantastic riding. I very much enjoyed this section. 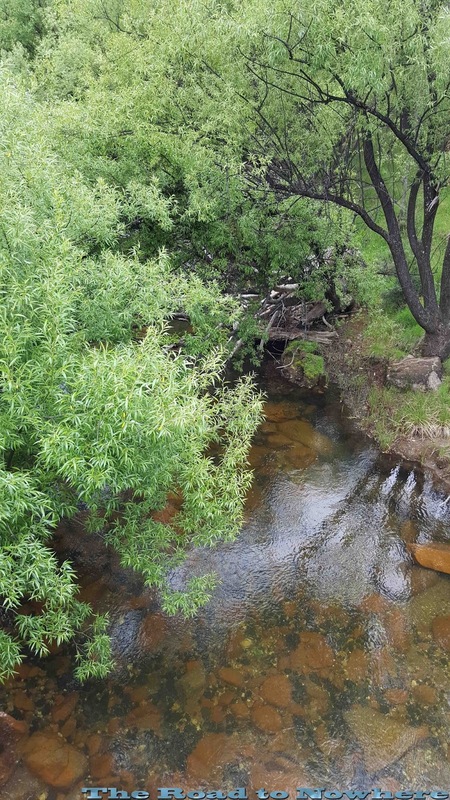 I had to force myself to stop to take a photo and found a great little spot on a bridge over the river. After turning off at Bruthen we made our way towards Orbost and heading towards the Bonang Highway. Not long after we got through Nowa Nowa there was a heavy down pour but we didn't stop and kept powering on, I felt two small trickles of water entering my leathers and that uncomfortable feeling. 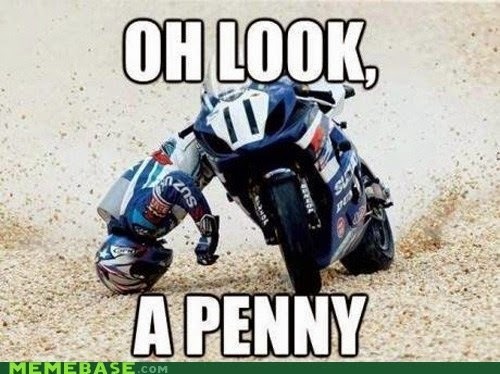 Maybe we should have stopped and put our wets on. 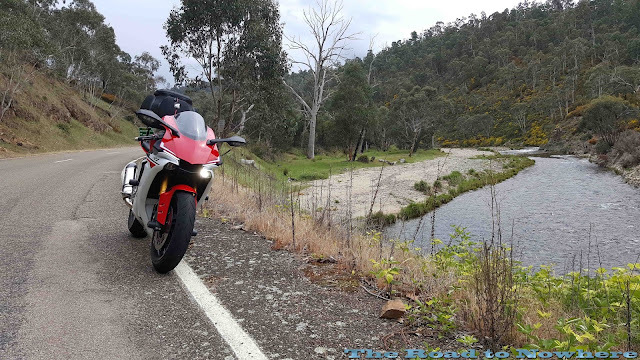 After only about 5 minutes though the rain eased and we were out of it again so hopefully the wind will dry me out over the next 40km to Orbost. 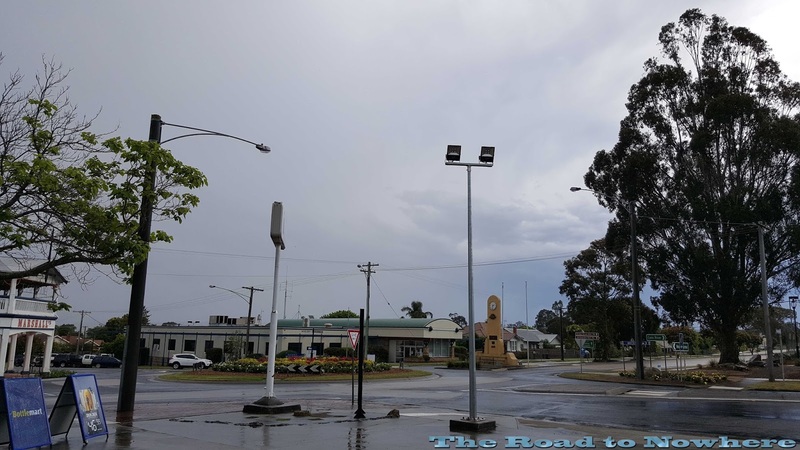 Just as we got fuel at Orbost the heavens opened up and dumped a large amount of rain with a few cracks of lightning thrown in just for fun. Everyone had abandoned any plans of riding up the Bonang as it was very black in that direction and checking the weather radar showed the Bonang was covered in rain.We waited until it became light and made our way back to our accommodation for the night. 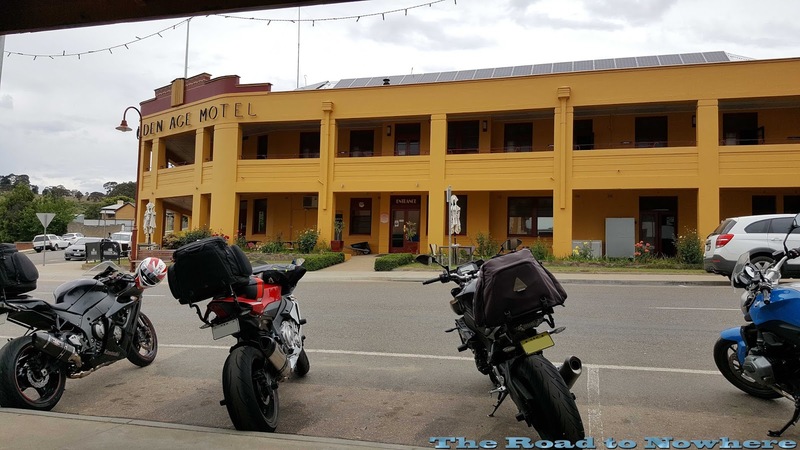 The Orbost Club Hotel. We had off street parking where we put our bike in the garage around the back and hit the bar for a few drinks. 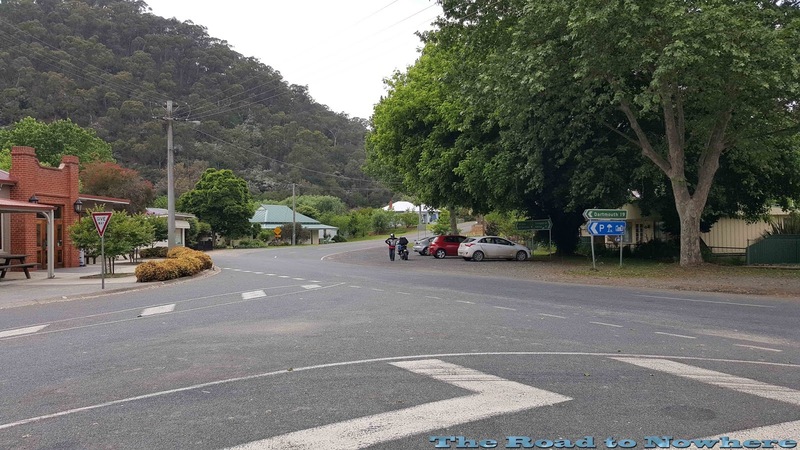 Most of us were pretty tired by now after a bit of a late night last night, an early start and the road out of Mitta just taking it out of you so everyone seemed happy just to sit and have beers. 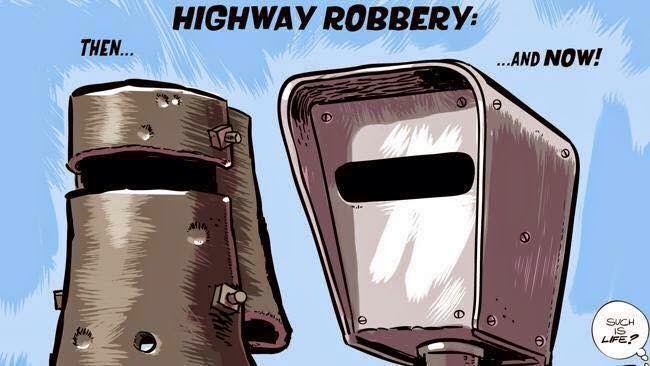 I can't argue with that! Looking north from the Hotel there was lightning everywhere and the blackest part of the sky was right over the Bonang Hwy, where we were originally headed. It would not be fun at all up there today I'm afraid. We made our way to the only other pub in town opposite the petrol station and had a beer. The beers there were terrible, they mustn't clean their lines out or something so we quickly departed after only one drink. The beers at the pub we were staying at were much better. I'd also noticed that of the 4 locals that were actually drinking at the pub were drinking out of cans, that says a lot right there. We made our way back to our hotel and had a nice meal and a few more beers. Dave even managed to win himself a large meat tray which he eventually gave away to one of the locals. 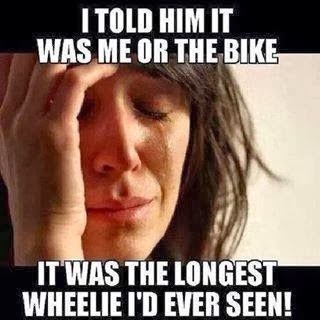 Another fantastic day out on two wheels even though it was cut short due to the rain. At least it stayed away for most of the day. When the lightning starts you know it is time to call it a day. 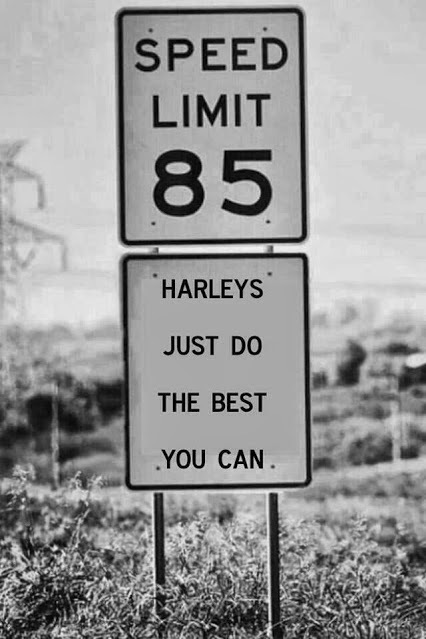 Sounds like an awesome day of riding twisties though. I am glad the debris was mostly on the sides of the road. Was that leftover form winter storms? Yeah I don't fancy riding in the lightning, far better off to be in the pub. We were in a logging area so probably debris from the trucks and also the trees. Nice bro! 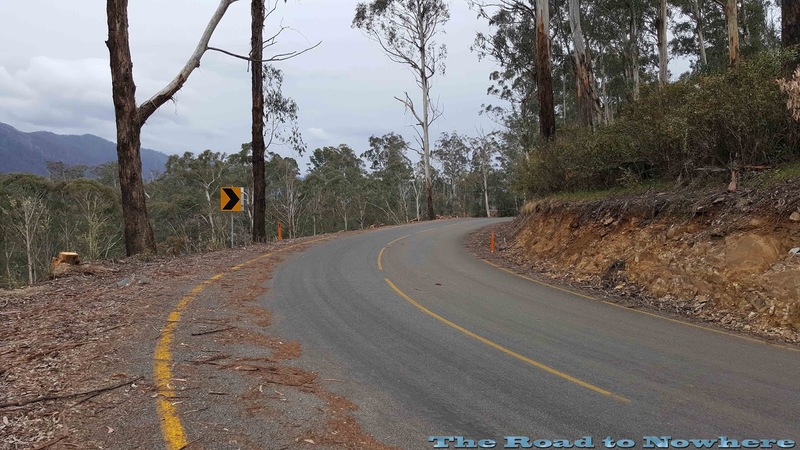 I really do have to get up there and check out some of these newer roads as I haven't ridden in the Vic high country since 2003. "One great feature I like on the lower end of this road is that there are an abundance of spots where the road winds into a fork of the mountain where it does a sudden 180 bend on itself and comes back the other way so while you are travelling into a bend your mates out in front are travelling back past you in the opposite direction separated by a small valley in between, there are numerous bits like this and it makes for fantastic riding" - much of the mountain biking I do is just like that. While there is no crackling on the over run there is plenty of piss taking. Maybe Bruthen would be a better stay than Orbost? Keep the write-ups coming. The idea was to ride the Bonang but the lightning storm put that to the sword, Bruthen would have been a better choice in hindsight. Your bends are probably 20kmh whilst ours are 80kmh. Roads look mint - some nice bends but decent road surface? 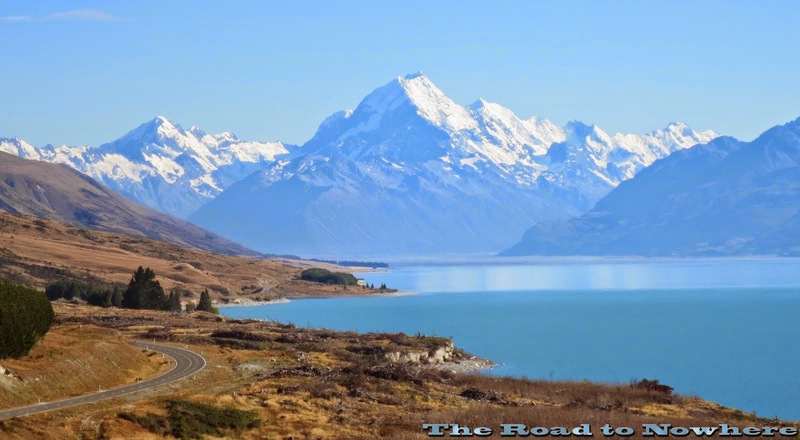 You'll have to come over and try them out for yourself, stop hogging all those NZ roads to yourself. So selfish. 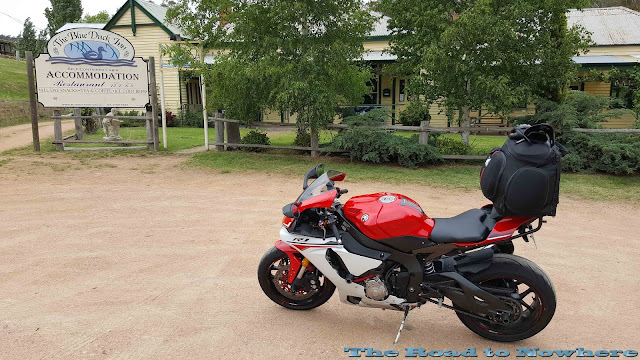 Some great riding in that region! yes..there can be such a thing as too many bends.....cruise control needs straights....your gonna cop a defect for that exhaust.